Many organisations execute a wide range of projects and often struggle to implement a consistent approach to project execution, thereby ensuring sustainable project success. The right project execution methods and approaches will ensure the right deliverables, right output, right outcome, right benefit, and right value creation for organisations, enhancing their competitive advantage and leveraging their market position. Design integrity, sustainable procurement routes, constructability and initial start-up of projects are underpinned by successful project execution methods. The outcomes of project front-end studies are essential inputs when identifying the best risk-reward sharing mechanisms during the procurement, construction, commissioning, and start-up phases. The design phase, which feeds into the procurement and construction phases, will ensure any errors and gaps are identified as early as possible, so as to enhance project execution and preparedness for start-up activities. This highly-interactive PetroKnowledge Project Execution training course will focus on how to achieve a flawless project execution. Delegates will be able to clearly connect between the design and start-up phases through value led procurement and efficient construction when executing projects. 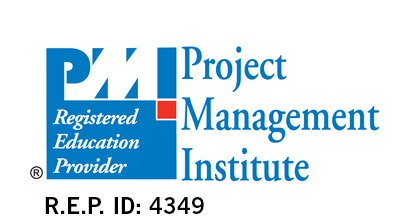 Understanding the principles and fundamentals of Project Execution methods and approaches. This 5-day PetroKnowledge Project Execution training course will enable delegates to master the process of project execution through well-structured project management governance and improve their ability to seamlessly control projects through the Design, Procurement, Construction, and Start-up phases by learning how to apply effective project management techniques. This PetroKnowledge Project Execution training course will be delivered using current Project Management frameworks and standards transferable to any industry, sector, and domain for successful project execution. Project execution success examples and case studies will be used. A coaching approach will be taken throughout this training course delivery. Participants will be coached and guided through the complete project life-cycle, learn, and become familiar with the project execution terminologies, definitions, processes, process groups, tools and techniques. This will include learning how to manage the various stakeholder interfaces through the Design, Procurement, Construction and Start-up phases. Project execution nuts and bolts – Why we are still not getting it right?